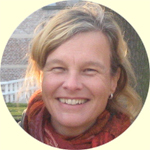 Evelyn van de Veen has been working as a teacher and teacher trainer since 2000. She combines experience with a solid conceptual basis, and has completed an extensive training programme for trainers by Karin de Galan at School voor Training. In 2012 she set up her own business evandeveen. From 2007 until 2012 Evelyn was a teacher trainer and part of the Higher Education team at the Centre for Lifelong Learning in Education (Centrum voor Nascholing, CNA) in Amsterdam. She developed and taught general teaching skills courses for lecturers in Higher Education, both in Dutch and in English. She also taught courses that focus on developing lecturers' teaching skills in English. Before joining CNA, Evelyn worked for Delft University of Technology, first as an English teacher, later on as a teacher trainer and educational advisor. She has a degree in Classics from the University of Groningen, and an MSc in Computer Science from the University of Edinburgh. After graduating, she worked for Canon Research Centre Europe in the UK for more than seven years, initially as a researcher in the area of Natural Language Processing, later on as the manager of a research group. evandeveen teaches assessment modules within University Teaching Qualification (UTQ) programmes as well as tailor made courses and workshops. Recent clients include Eindhoven University of Technology, Delft University of Technology, UN-IHE Institute for Water Education, HU University of Applied Sciences Utrecht, Hanze University of Applied Sciences, Vereniging Hogescholen, University of Aruba.